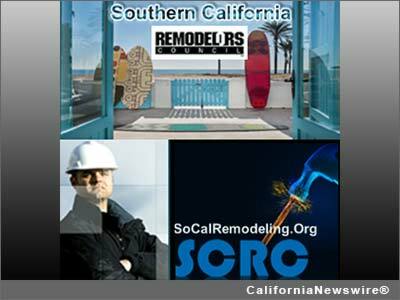 LOS ANGELES, Calif. /California Newswire/ — The BIA Southern California Remodelers Council (SCRC) and staff has added additional courses for 2014 due to overwhelming demand. These courses are designed to meet the new criteria that is set to take place in the remodeling and building industry. The multi-state certified courses offered are in the areas of Marketing & Communication Strategies for Aging & Accessibility (CAPS I) on Thursday, May 29, Design/Build Solutions For Aging & Accessibility (CAPS ll), Friday, May 30 and Business Management for Building Professionals on Saturday, May 31, 2014. Nearly everyone dreams of career advancement, more money and more recognition. The SCRC courses will help propel your career in a forward motion. Those who are progressing, producing, growing and evolving are encouraged to join. The Caps I course will help you take advantage of one of the fastest growing market segments in remodeling and related industries. Maturing Americans are looking to revitalize their home environments. Learn best practices in communicating and interacting with this evolving population. Identifying opportunities and developing the skills to interact with 50+ customers can help you grow your business dramatically. The Caps II course will help you understand the guidelines and requirements of accessibility, the importance of doing an assessment with input from occupational and physical therapists as well as qualified health care professionals, and the significance of good design in making modifications that can transform a house into a safe, attractive, and comfortable home for life. BIA-SCRC members are committed to the long term health of their businesses. As a subsidiary of the National Association of Home Builders, BIA-SCRC acts as a "board of directors," helping to guide fellow members through the issues that they face. The BIA-SCRC is based on collaboration and our collective experience spans marketing, sales, production, client service, finance and design. Members can take advantage of the numerous savings programs, PR opportunities and more. To register for courses or membership visit http://socalremodeling.org/ . Ask about the new Remodelers Council student rates.